Our Vendor is moving on to a new venture, leaving a fantastic opportunity for first home buyers and investors alike. This family home offers 3 double bedrooms, spacious, separate living, with vaulted ceiling, leading out to sunny patio. Plenty of heating options, with a heatpump, a woodfire plus a night store heater to help ensure warmth and comfort all year round. Instantly liveable, but with the chance to update and enhance, you will no doubt be adding value to this classic family home. Double free-standing garaging, with a carport, there is also an office / studio at the rear of the garage. 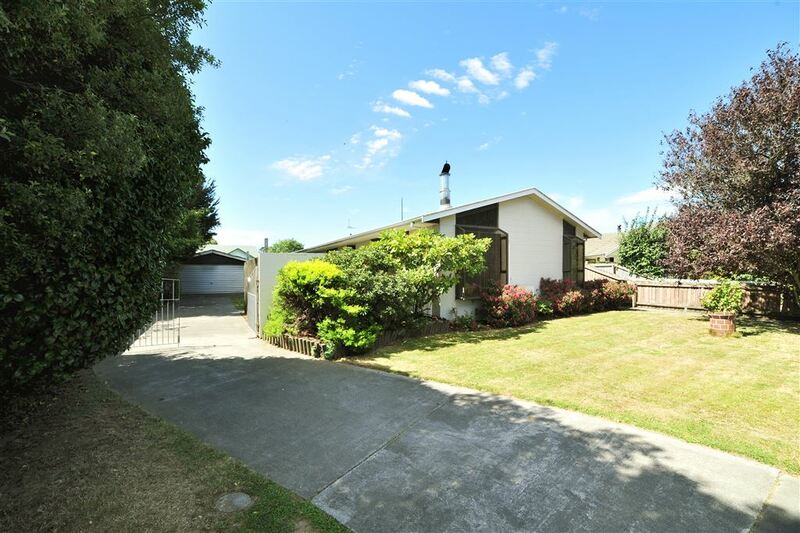 Perfectly positioned, in this sought after area, on Cera zoned TC1 land, very conveniently situated, with many amenities, local schools and The Hub Hornby all nearby. Call today, this family home is well worth a look. Chattels remaining: Blinds, Drapes, Fixed floor coverings, Light fittings, Stove, Dishwasher, Range hood, Heat Pump, Night Store Heater, Wood Fire, Bathroom Heater.